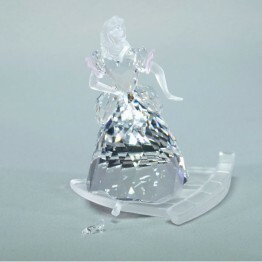 Inspired by the famous Disney story, Swarovski has also produced Cinderella! A girl is obliged to do the domestic chores for her wicked stepmother and her two wicked daughters. Because she have to do all the dirty jobs, like cleaning the fireplace in the morning, she mockingly is called '’Cinderella'’. One day, a letter from the king recommends that all girls from all over the country have to come to the ball. This because his son, the prince, can marry the girl of his dreams. Then again, the unjustified stepmother treatment of Cinderella appears. The daughters of the wicked stepmother get beautiful dresses and Cinderella does not get anything and has to work, and is thus prevented from going to the ball. 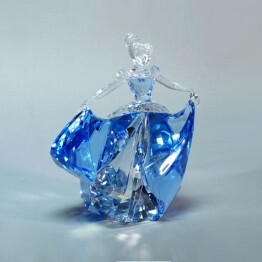 A good fairy, however, gives her a beautiful ball gown with glass slippers. She turns a pumpkin and a bunch of mice into a horse-drawn carriage. However, at midnight the enchantment will be broken. Cinderella charms the prince, of course, but nobody recognizes her. At midnight she leaves the palace, where she loses one of her glass slippers. The prince finds the slipper and swears that he will find the special girl, so he can marry her. Many girls are trying with all their might to squeeze their foot in the slipper. 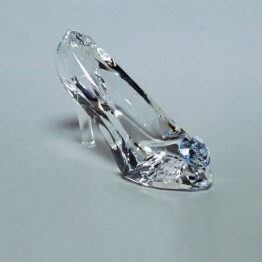 Eventually, the shoe fits only Cinderella. The fairy tale Cinderella appeared for the first time in a collection of Giambattista Basile, entitled: Lo cuntode li Cunti or Pentamerone. Basile probably collected and edited the stories himself. The Cinderella story is the sixth fairy tale from the bundle entitled: La Gatta Cenerentola. The Italian story has probably inspired Perrault into his Cinderella story. This version would later be used by the Grimm brothers. Cinderella is Walt Disney's favorite princess. She loses her shoe three times in the movie. 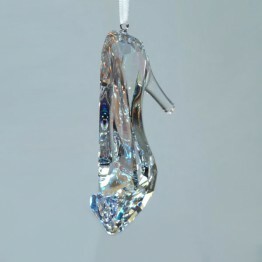 The English term for Cinderella, is derived from the French word Cendrillon, meaning "little ash girl". Perhaps that is were the Dutch name is based on.